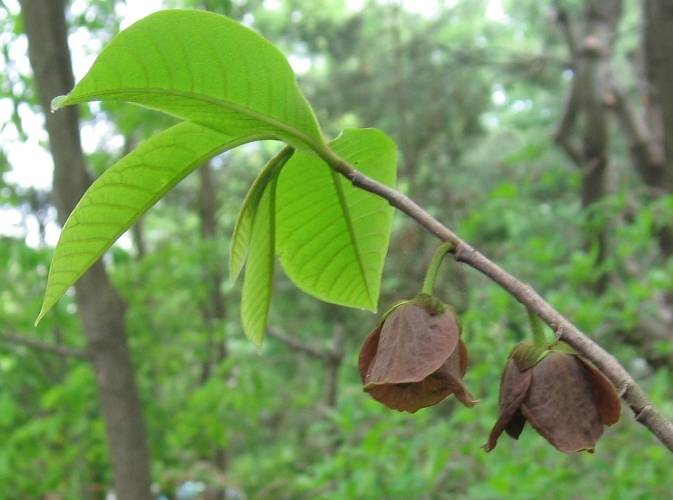 Asimina triloba is a shrubby tree, to 10 m., colonial. Leaves alternate, widest at or above middle, tip abruptly pointed, base gradually tapered, margins entire, buds naked, hairy. Flowers solitary, greenish purple to 4 cm wide, regular; blooms April-May. 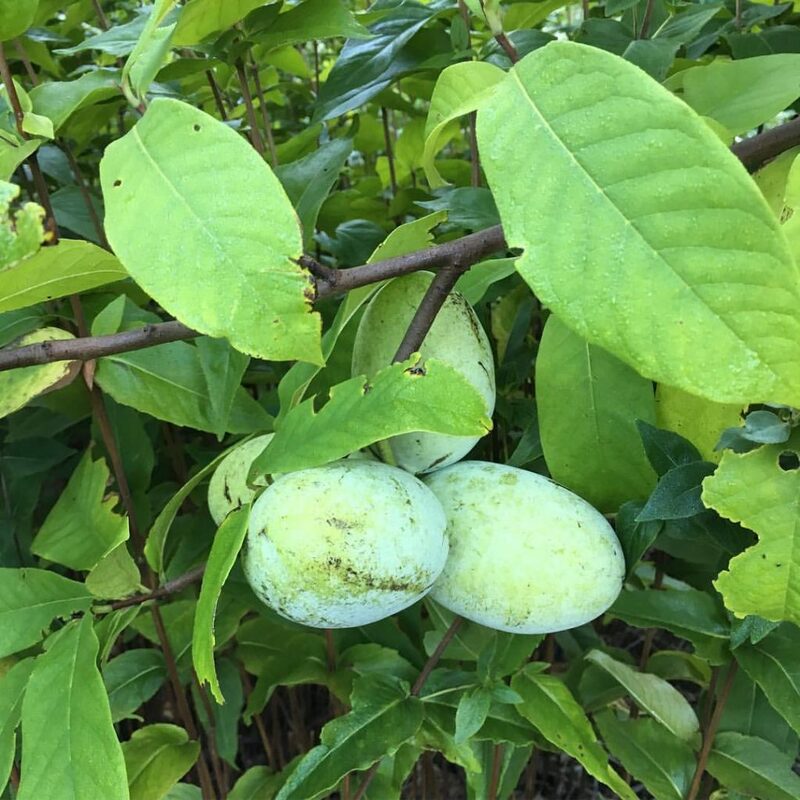 Fruit about 10cm long, greenish yellow turning black when ripe; Aug.-Sept., flesh edible, several flat, hard seeds. Frequency in New York City: Very infrequent. Rare in NYS Threatened. Origin: Western NY west to NE and TX. Notes: Originally from horticultural planting but apparently spreading locally in S. Staten Island..